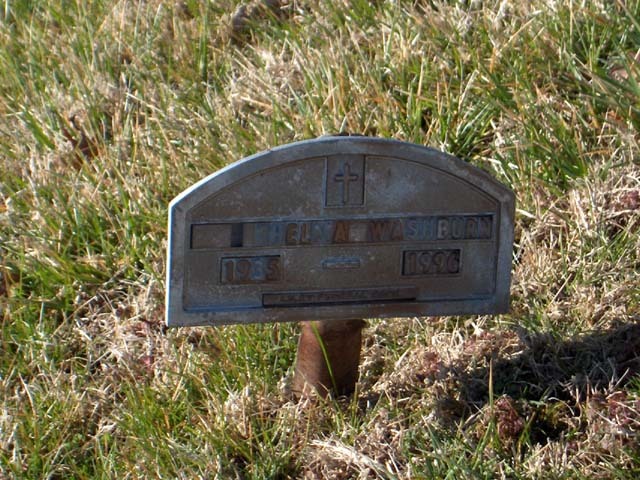 Thelma Maxine Washburn, 60, of St. Louis, died April 29, 1996 at Lutheran Medical Center in St. Louis. She was born May 3, 1935 in Marble Hill, daughter of Earl and Etta Fulbright. She and Bennie Washburn were married September 26, 1954. He survives. Other survivors include four sons, Walter and Cecil Washburn of St. Louis, Denver Washburn of Hillsboro and Donald Washburn of Pevely; two daughters, Glenda Williams and Donna Washburn of St. Louis; two brothers, Charles "Bud" Fulbright of Imperial and James Fulbright of Fredericktown; a sister Shirley Turner of Sedgewickville and five grandchildren. She was preceded in death by an infant son, brother and sister. Funeral service was held Thursday at Liley Funeral Home of Marble Hill. Burial was in Bollinger County Memorial Park near Marble Hill.